Winning at the slot machines provokes a rush of excitement in anyone, but for those with severe gambling problems, just coming close to winning something provokes that same kind of feel-good rush. Researchers at the University of Cambridge think they know why it’s so hard for some gamblers to break free from their betting – problem gamblers feel excitement and pleasure not only when they win, but also when they even come close to wining. The Cambridge researchers used MRI brain imaging to observe what happens in the brain after a slot machine win, a slot machine loss, and a slot machine near miss. Experiment subjects ranged from people who gambled occasionally but had no problem with gambling, to severe problem gamblers. 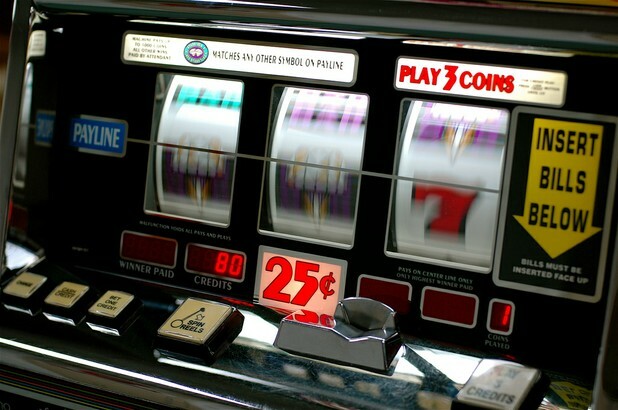 Using MRI scans, the scientists could see that a slot machine win triggers a strong dopamine response in the brain. (The dopamine system regulates pleasure and is involved in the development and perpetuation of addiction.) Near misses, when the slot machine came close to delivering a prize but no reward was actually given, also triggered a dopamine response in all subjects, but problem gamblers experienced a far greater dopamine response after a near miss than social or occasional gamblers. Lead researcher Dr. Like Clark, commented on the significance of the research, saying, "These findings are exciting because they suggest that near-misses may elicit a dopamine response in the more severe gamblers, despite the fact that no actual reward is delivered. If these bursts of dopamine are driving addictive behaviour, this may help to explain why problem gamblers find it so difficult to quit." The full research results can be read in the current edition of the Journal of Neuroscience.